With its dynamic appearance and sleek silhouette, the Knaus Sky Wave 650 is at the forefront of RV innovation. 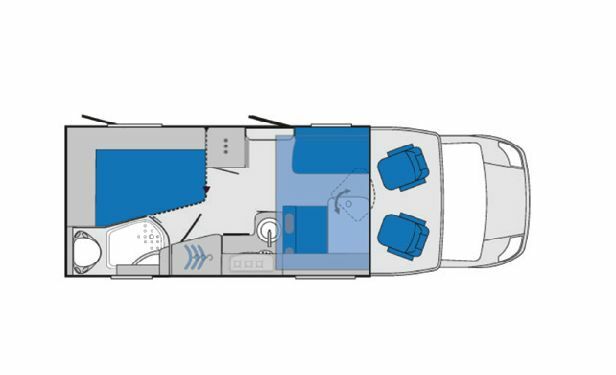 Sleeping up to six with a 190cm height clearance throughout, the Sky Wave is the best of German engineering, brought to Australia by Avan. Inside, the lifting bed is perfectly integrated into the interior and is the largest lifting bed in its class - that is - get ready for some serious comfort. Aesthetically, the wood surfaces throughout reek of luxury while the ample USB sockets make the most of your technology. And of course, the Sky Wave wouldn't be called the Sky Wave if it weren't for the big and beautiful panoramic roof that's such a feature of this RV. Want to know more? Come and see us at Avan Premier, your local Knaus dealer.